Tim, through his company Man Bites Dog Public Relations Pty Ltd, has done a fantastic job promoting and celebrating the successes of businesses in the ACT and Queanbeyan. Tailored Accounts is a living example of the wonders of cloud accounting. Speaking purely based on experience, the security and comfort of using XERO as well as its add-on features have made the cloud accounting application an instant hit among my employees and clients. Five years ago, most of our operations and services are MYOB- or Quickbook-based, now close to 95% are XERO-based. With the availability of XERO, Tailored Accounts has proven that outsourced bookkeeping and back-office accounting has become a viable alternative to hiring an in-house part-time bookkeeper. Xero is fundamentally changing the landscape for small-and-medium business (SMB) accounting, shifting the focus to accounting services from basic bookkeeping functionalities. It is also a double win for SMBs as they can cut down their bookkeeping costs by up to 40%. In 2015, I look forward to sharing more about cloud accounting and bookkeeping with the Canberra business community given that Tailored Accounts has successfully adopted cloud technology to achieve our goals and make our business more sustainable. I would like to hereby thank all my staff members who have been working extremely hard throughout 2014. 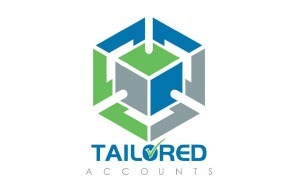 I am also incredibly proud that Tailored Accounts has been awarded and acknowledged by the Canberra business community as a Telstra Australian Business Awards and Canberra BusinessPoint Awards finalist. Last but not least, I would also like to take this opportunity to thank all our business clients who have been with us in the past 5 years, as without your support Tailored Accounts wouldn’t be sure if our service model is appropriate for the Canberra business environment. Be sure to stay informed with B2B magazine in 2015, and I wish you all a smooth and successful year ahead!